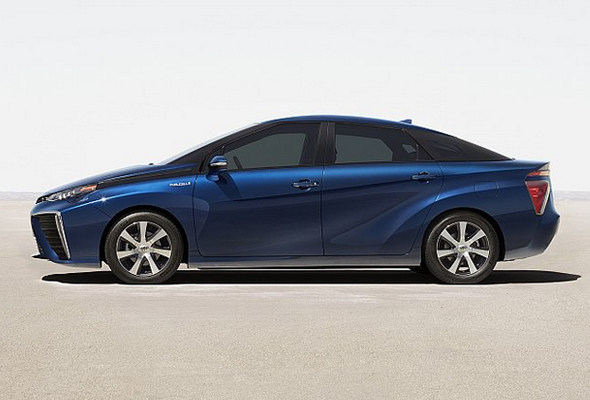 Expectation is building for the market launch of Toyota’s fuel cell vehicle with the hydrogen-powered saloon included in the short list for What Car? magazine’s Reader Award for the most eagerly anticipated new model of 2015. Vote for the 2015 What Car? Reader Award here. The UK will be one of the first world markets for the four-door model, Toyota’s first production FCV and a global technology pioneer for zero-emissions mobility. The car was shown with its production-ready design earlier this month at the Paris motor show and will be introduced in Japan, North America and Europe during the course of next year. Last week, Matthew Hancock, Business Minister, announced the UK Government will contribute £7.5 million to an £11 million investment programme to help develop a national network of 15 hydrogen fuel filling stations by the end of next year. The minister was speaking during a visit to Japan where he met executives from Toyota and other Japanese manufacturers. His announcement marks a significant first step towards achieving the initial target of 65 refuelling stations identified by the UK H2Mobility project, a group representing industry leaders and Government of which Toyota is a founding partner. What Car’s Reader Award differs from the other honours in its annual presentation in that the winner is determined by the popular vote of its readers and website visitors. The result will be announced at the magazine’s car of the year awards presentation on 7 January. 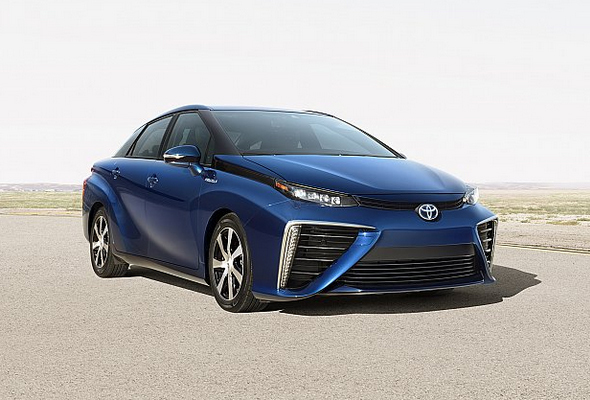 How does Toyota’s fuel cell vehicle work?